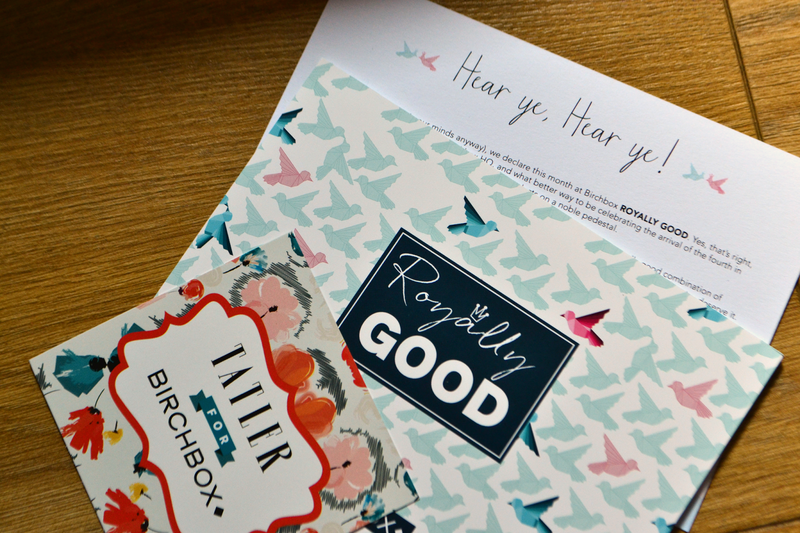 For the first time ever, I received a Birchbox this month. A box which I've read so much about over the years since it was released but never taken the plunge and subscribed, probably due to 'bad' experiences with other monthly boxes. Despite my experiences, Birchbox was the only one which had me tempted on a number of occasions, not every month, but there were some months when I seriously considered it but then money was spent elsewhere etc. because let's face it these boxes are a luxury that we don't always need and can't always afford. 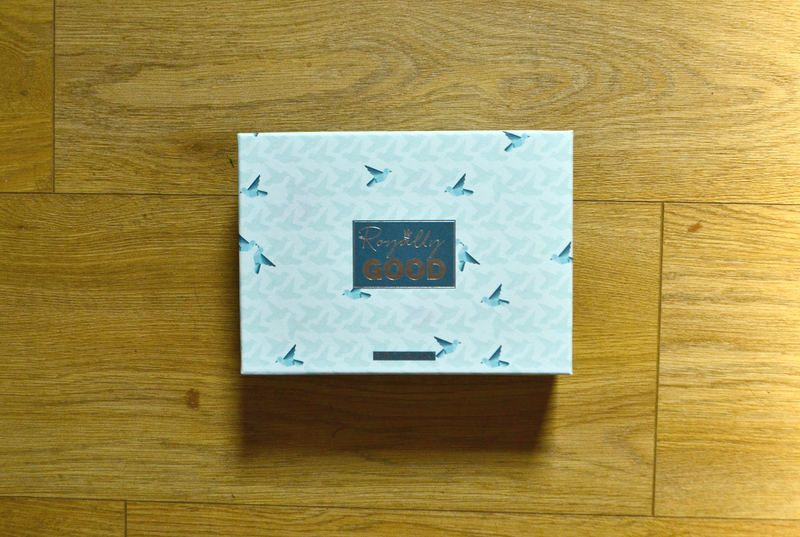 Anyway, fast forward to this month and I was asked if I'd like to receive this months 'Royally Good' Birchbox to celebrate the upcoming birth of the royal baby in collaboration with Tatler magazine. The two different boxes are aptly coloured either blue or pink and those who subscribe get the chance to pick their own Laura Mercier sample from a choice of kohl eye pencil in black violet or full blown supreme mascara. I think the opportunity to choose one of the samples is an absolutely brilliant idea and it ensures that you get at least one thing in your box that you would really like. I'll say now that Birchbox has lived up to the expectations I had, I was hoping it was going to impress and I can tell you that it definitely has. The brands and range of products I received are really good; exactly what I expect from a box which promises 'luxe beauty and lifestyle samples'. Unfortunately I didn't get to choose which Laura Mercier sample I got and I have to admit that I wouldn't have gone for the eyeliner if I'd have had the choice because violet really isn't a colour I'd dream of buying but then I have to admit that I do think subscription boxes should push you out of your comfort zone because otherwise, how would you ever try something completely new?! I shouldn't have let the colour put me off really, because it's not a Pat Butcher kind of blue (which is what I expected), it's actually really dark purple. It's not a liner you can use on your waterline as it just doesn't apply at all but it is brilliant for applying to the upper lash line; it doesn't drag or pull on the delicate skin. 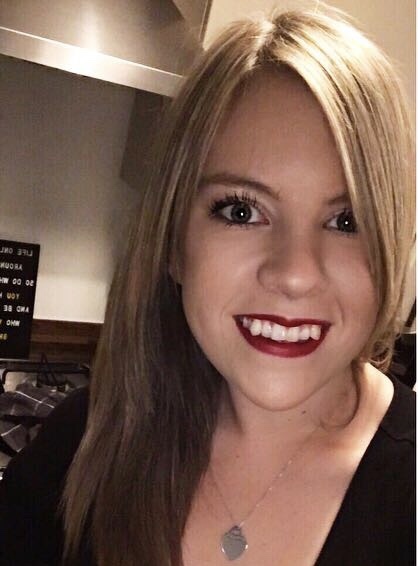 I tend to only apply liner to my waterline but this has forced me to try something different and I'm so glad I did! On the back of trying this, I would recommend Laura Mercier liners in a heart beat. Korres is a brand I have a little bit of experience of, but only with their lip butters. I was really pleased to have received a travel size shower gel because I always like to have a little stash for weekends away, I was especially pleased that it smelt nice too! Not much else to say about a shower gel is there really but I do like it. Ah a foaming face wash. I'm always a bit iffy when trying new skincare but I took the plunge with this (all in the name of research, such a difficult job) and with the few times i've used it I'm quite impressed; it's light and doesn't foam excessively, it smells good and removes dirt from your face so what more could you want... well i'd love it if I didn't have to use a separate eye makeup remover but we can't have it all can we? Probably not something I'd buy but nice to try, all the same. Love the shade of the Lola Barcelona nail polish, it's a Birchbox exclusive so I don't think you can actually buy the shade 'Gracia' but I really love it as a spring into summer kind of shade. One coat actually gives an opaque coverage which is something I love because if i'm in a rush I don't have to worry about multiple coats. Since trying this I would definitely look at some other Lola Barcelona polishes because they seem like quality products. The Inner Me Energise Me supplement tablets were a great addition to the box; something a little different to the usual kind of samples you receive in monthly boxes. There's 4 weeks supply which give you 100% of your daily allowance of lots of different vitamins including: Vitamin D, Vitamin B2, folic acid and vitamin B6. I've tried something from Percy Reed before but I can't think what it was but I was really pleased to find the No Oil Oil in my box because I love trying new hair stuff. 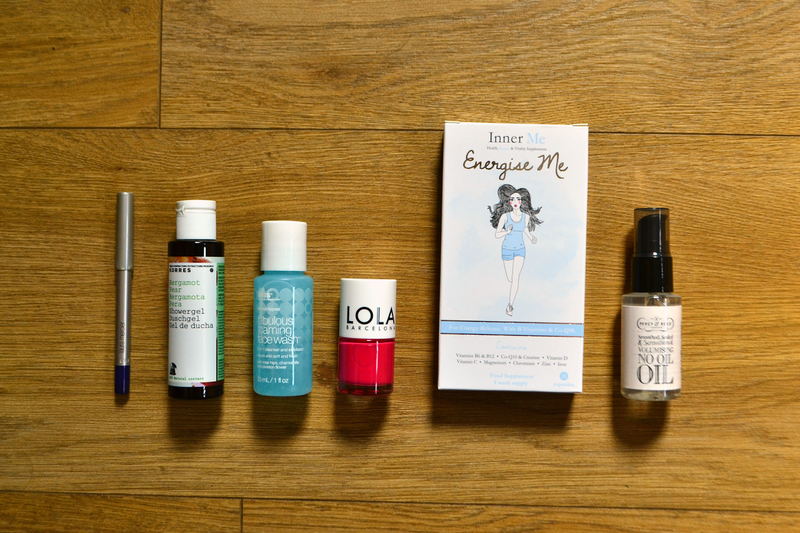 It's quite an expensive oil at £14 but if something is good I don't mind paying it, I wouldn't usually pick up such an expensive bottle to 'try' so this is why Birchbox is such a good idea because it means you try things that you wouldn't normally. Overall I am well impressed with Birchbox, it's totally blown Glossybox out of the water in terms of the products and brands they've included and even down to the design of the box itself; I love the little bag within the box. It's £10 per month (plus £2.95 p+p) which I think is a very reasonable price based on this months box. Looking back on previous boxes, none of them would have disappointed me and I can't wait to see what Birchbox brings us in future months!